The Costa Blanca real estate market remains buoyant overall with stabilised prices and new build properties situated in the most desirable locations, including Orihuela Costa and Torrevieja, among others. According to the latest data provided by ST-Valuation Society, the province of Alicante in the Costa Blanca has 2,110 new homes for sale. This amount exceeds the latest census of new housing in Barcelona, where there are 1,072 new properties for sale. For its part, another recent study on the estimation of housing needs and property prices in Spain has revealed that the country will need a production of more than 140,000 homes annually until 2025, the year in which housing prices could return to the levels of 2007. Practically all new homes for sale in Costa Blanca come with a swimming pool as well as other extras, such as air conditioning. Some new builds even include underfloor heating, automated blinds, white goods in the kitchen, etc. 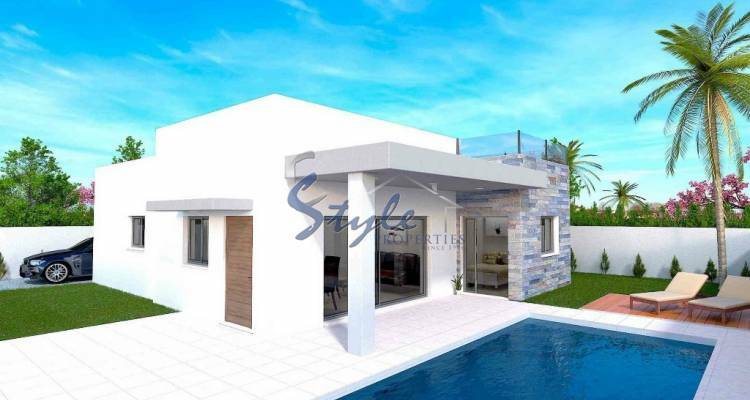 E-Style Spain offers you a large selection of new build property for sale. Whether you are looking for an apartment with a large terrace, a townhouse or a detached villa near the beach, we can help you find it!